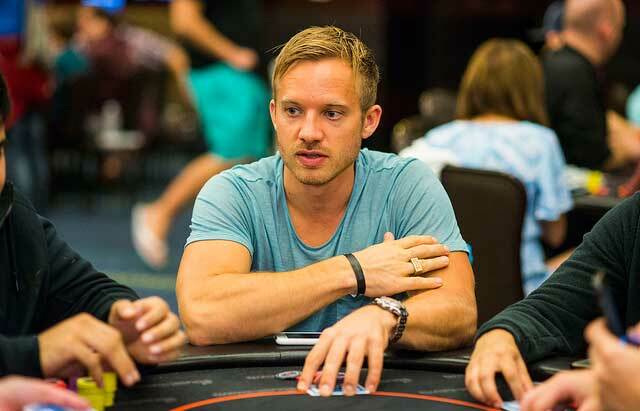 888poker unwrapped one last gift this year when they announced that former World Series of Poker Main Event Champion Martin Jacobson is taking a spot as an ambassador for the online poker room. Jacobson joins an ever-growing team of top-tier pros and personalities, such as Chris Moorman, Dominik Nitsche, Vivian Saliba and Parker ‘tonkaaaa’ Talbot, with a mind for expanding not just the 888poker brand, but the tournaments and events the company is looking to provide. While the popular opinion of whether poker is currently great or needs an infusion of greatness is up for debate, the talent of Jacobson is not. The Swede currently sits as the country’s All Time Money List leader and prior to his WSOP Main Event victory for $10 million – the second largest prize ever won in that event – he was long considered a pros pro with an enviable results list both live and online. “We’re super excited to be working with one of the best minds in poker as we embark on our shared goal of providing players all over the world with the best possible poker experience,” the company said. 888poker is starting Jacobson’s tenure off with a freeroll tournament open to any and all depositors. On December 27 at 21:30 GMT the $5,000 Martin Jacobson Welcome Tournament will run and not only will the World Champ be participating but the company has placed an $88 bounty on his head for whoever ends up with the bragging rights of having gotten to knock out the superstar. As far as giving back, this freeroll tournament is just a start for Jacobson who is a well-documented charitable donater to the Raising for Effecting Giving, the charity popularized by poker players. Moving forward part of Jacobson’s reasoning for teaming with 888poker is tied to hopes for the pair to find more ways to give back, not just to poker players, but to those in need. 888poker’s ever-growing list of Live stops is expected to continue into 2018 after a successful season in 2017 that saw stops in London, Barcelona and Sao Paulo. Perhaps with Jacobson on board a stop in Stockholm may be in the cards. Wherever 888Live decides to hold their events, Jacobson has commented that he intends to be on the felt doing his best to create an optimal poker atmosphere for everyone in attendance.